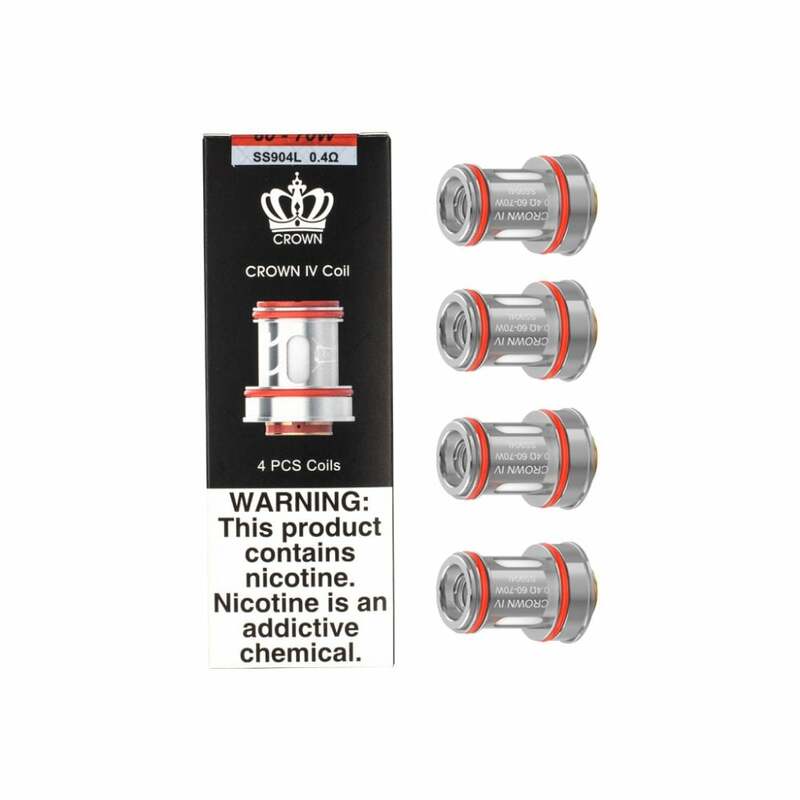 Crown 4 Coils by Uwell were designed for use with the sub-ohm Crown 4 IV Tank, and feature a double helix mesh design which heats evenly for long-lasting flavor. Patented self-cleaning technology means no leakage or waste, and less frequent cleaning on your part. The quality of steel used is the same used in luxury watches and ensures longer life and quality out of your coils. Crown IV Coils are available in multiple sub-ohm resistances, including 0.2ohm, 0.23ohm, 0.25ohm, and 0.4ohm.